NYE offers the perfect opportunity to reflect on your year, make some ambitious resolutions (that you’re unlikely to stick to) and of course, celebrate in style with champagne in hand! But what on earth should you wear? You’re worried about ruining your street cred by bringing out the same outfit as last year (Facebook reminds you of that very bold look) but you don’t want to break the bank either. Well relax and keep reading; our ultimate party wear guide with gorgeous New Year’s Eve outfits will ensure you start 2019 looking like royalty. Order before 2pm on Friday 28th for express next-day delivery, in time for NYE. If a relaxed event is more your cup of tea (or wine), treat yourself to a nye outfit that oozes smart casual chic. Ideal for family celebrations and chilled out catch-ups, these women’s skinny jeans with embellished trim are a must-have to bring in the new year. Try pairing with some boots and your fave tee (or Christmas jumper) for a hint of festive glam without lifting a finger. You can never go wrong with a long-sleeved shirt and jeans and this navy design is definitely a winner. Fresh, classic and easy to pair with anything, you’re bound to get plenty of wear out of it too. Can’t deny your love for house parties? Neither can we! Celebrating at home surrounded by your best mates, co-workers and neighbours is a totally different vibe – but drinking games, comfy sofas and (most importantly) avoiding the taxi queue makes it worth staying home! Unless your host decides on a wild fancy dress theme, you can (usually) get away with wearing whatever you fancy. One of our top picks for men is this novelty Christmas shirt with fun candy-cane print. You may think this is a bit of a bold move, but trust us – wear with some box-fresh trainers, dark skinny jeans and denim jacket and you’ll be best-dressed for sure. New Year’s Eve definitely calls for a bit of sparkle and shine. Go for a casual t-shirt dress with a twist like this gorgeous little number, add a block heel and some funky hoop earrings and you’re good to go! Festive drinks are a must for this time of year – who can turn down a cheeky Christmas cocktail (or five?) So get your glad rags on ladies and gents and head to the cocktail bar for just the right balance of class and sass. An elegant fur coat takes any NYE outfit to the next level (with the added bonus of keeping you cosy in winter weather). Team with a sparkly top and matching bag – throw on a pair of stilettos if you’re feeling daring – and dance the night away! Turn heads on the dancefloor for all the right reasons with this men’s New Year’s Eve outfit. 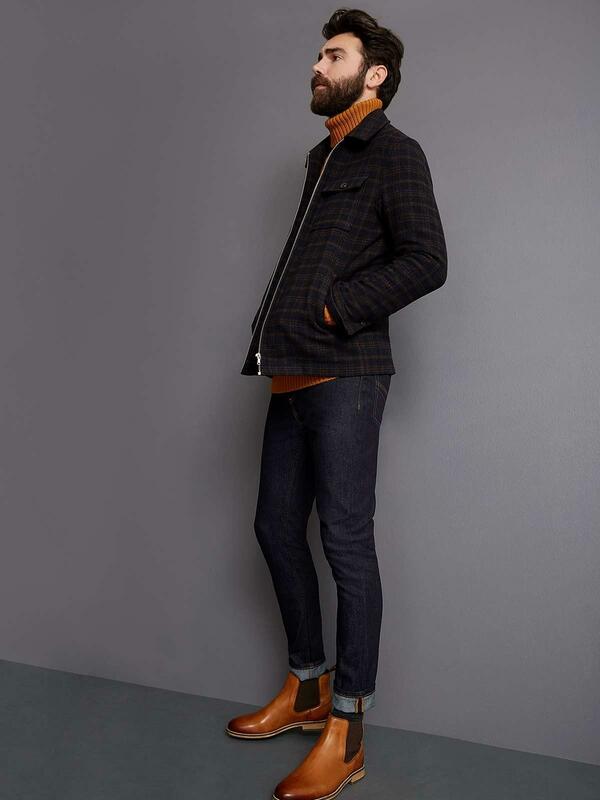 An open flannel shirt paired with black jeans and some polished boots is a match made in smart casual heaven. If you’ve got an incredible venue to hit this New Year’s Eve, you need an outfit to match! This opulant sequin dress with a trendy gradient design is ideal for a formal event. Most importantly, the relaxed fit means you can bust some serious moves on the dancefloor (and also disguise your food baby after the bottomless canapés). If you’re wondering where to start when it comes to the ultimate men’s New Years Eve outfit, a double-breasted coat is a wardrobe essential. For a fancy event, wear with a sharp shirt and tie for the sleekest gentleman’s attire. Shop show-stopping party wear for men and women at Peacocks and start the New Year in true style. Tag us in a pic of you rocking your new look at @peacocks_fashion for a chance to be featured on our page!